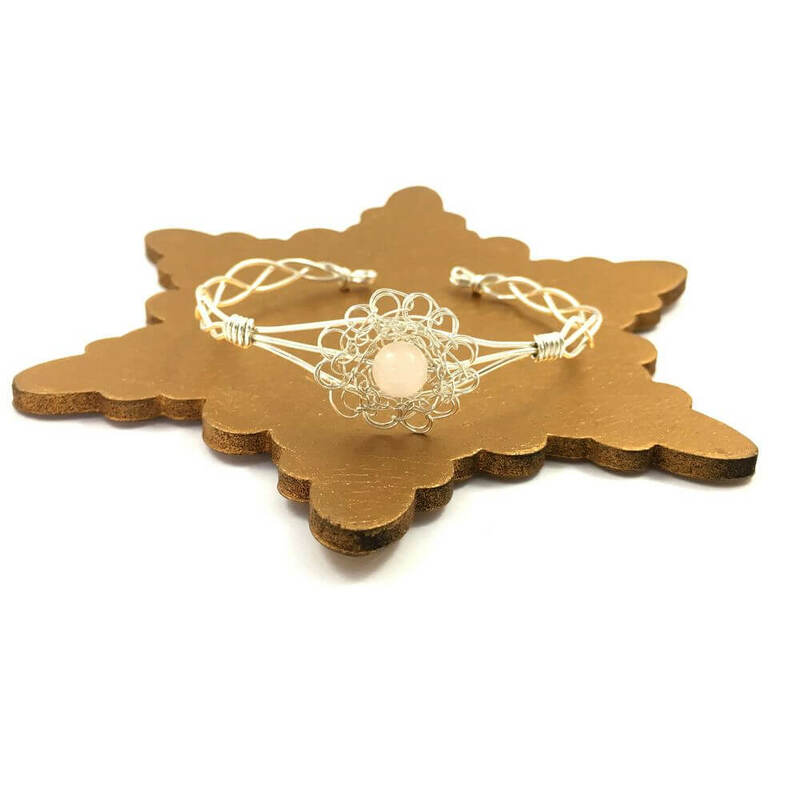 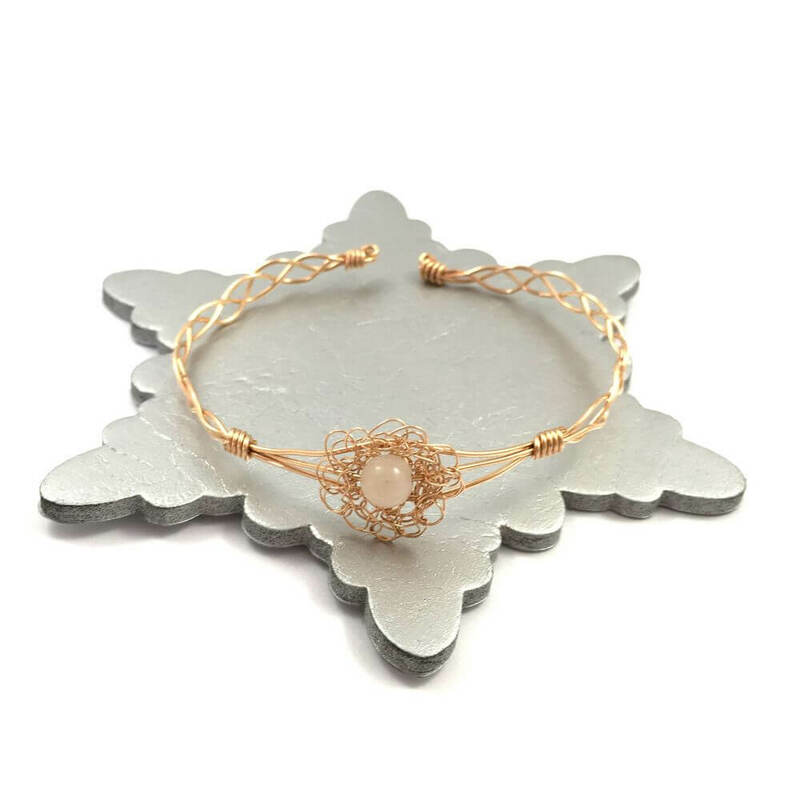 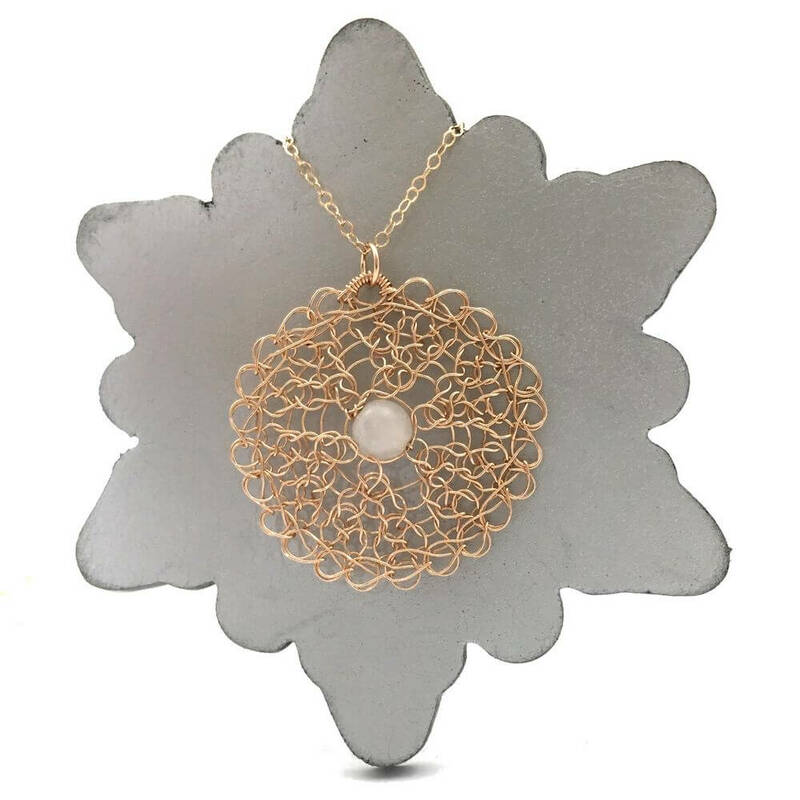 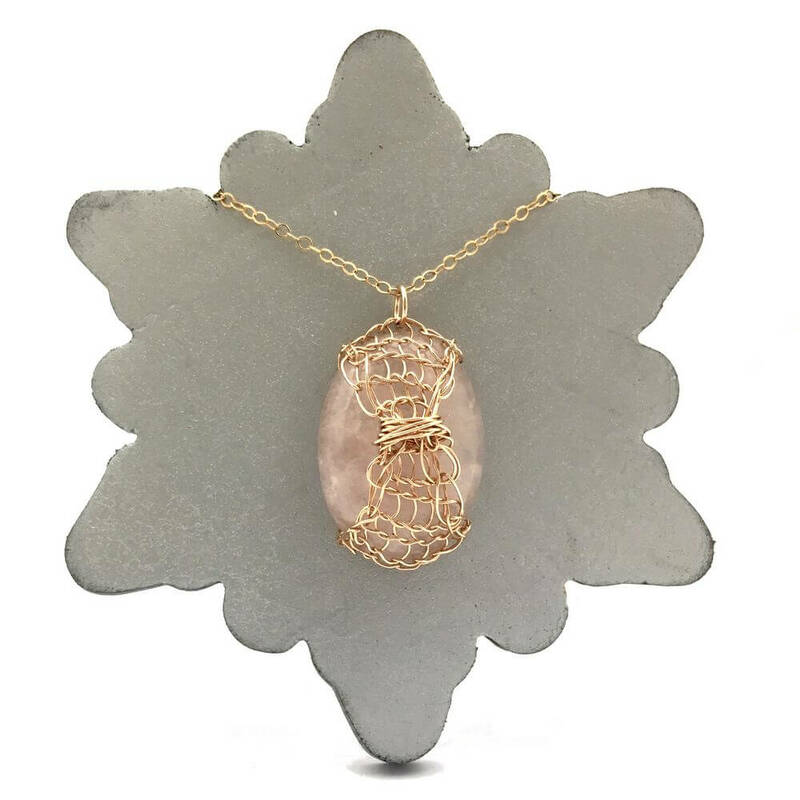 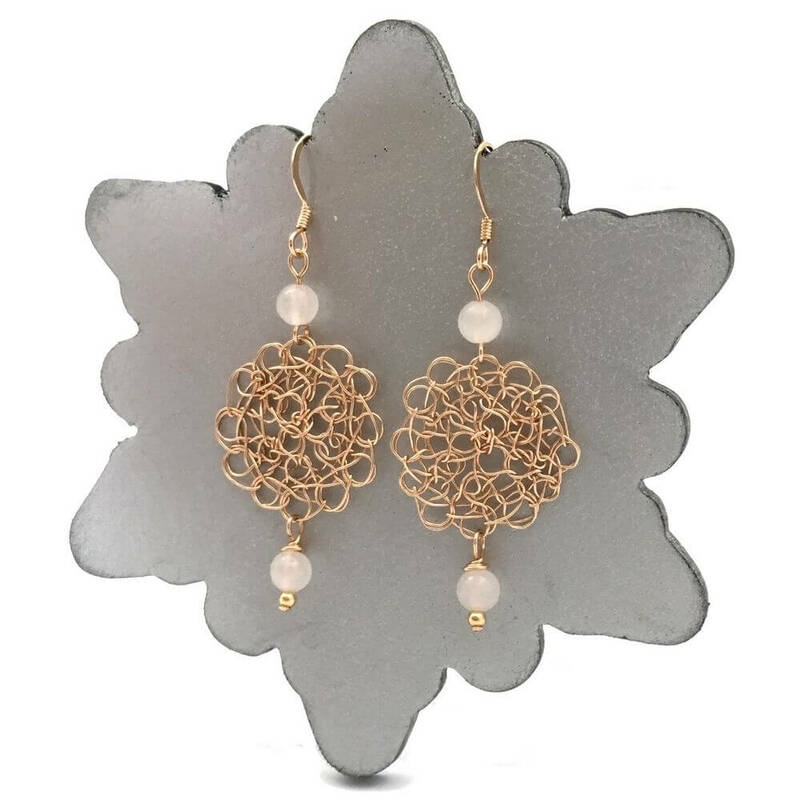 Two small rose quartz stones orbit around an ornate circular form created from 14 carat rose gold-filled wire. 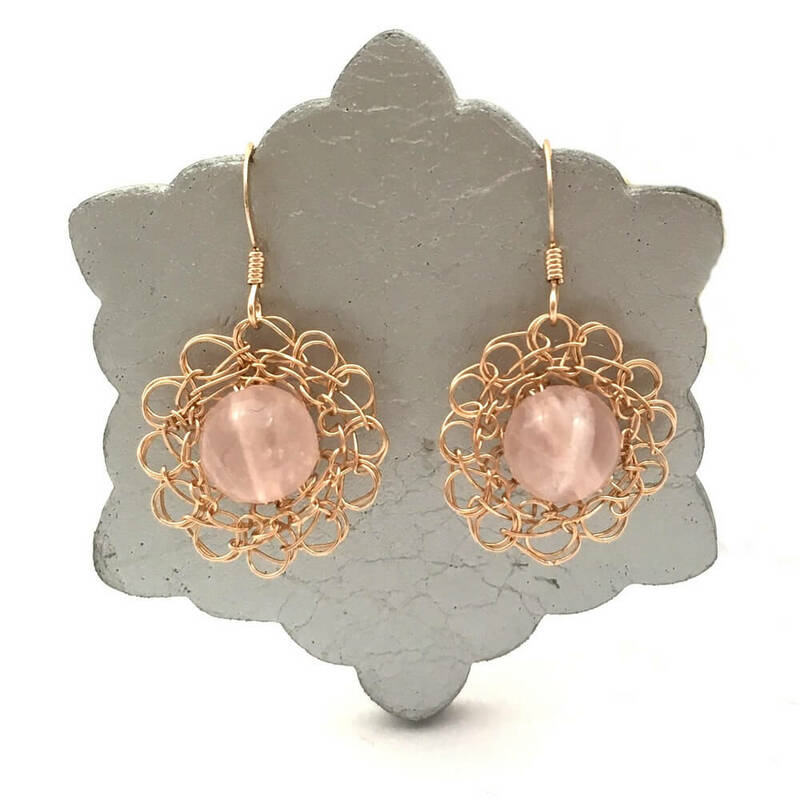 Very light and comfortable to wear, the Rose Quartz Cosmo Earrings are made by hand using 14 carat rose gold-filled fittings and ear wires. 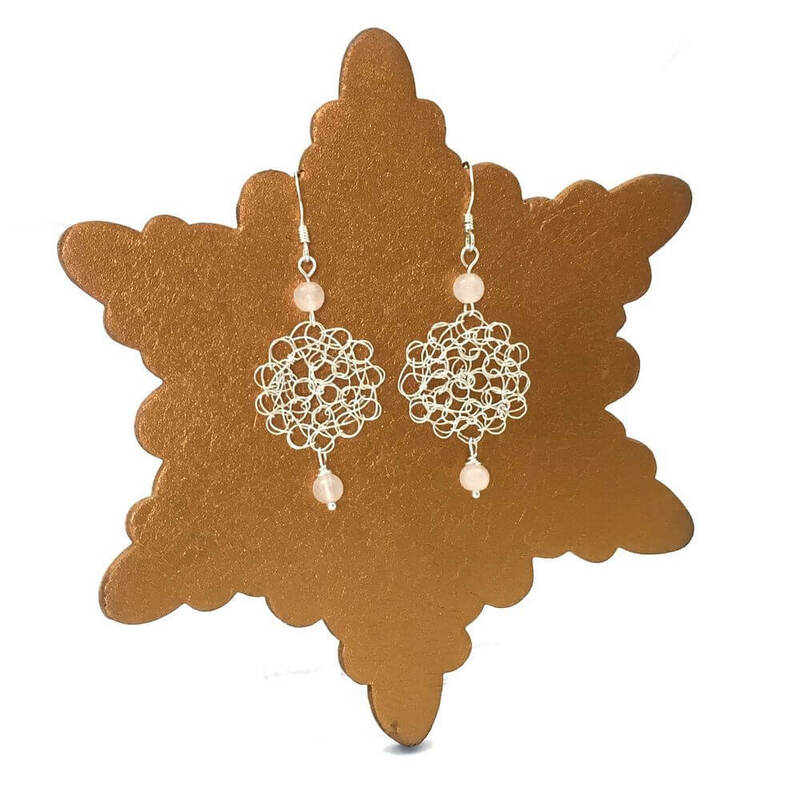 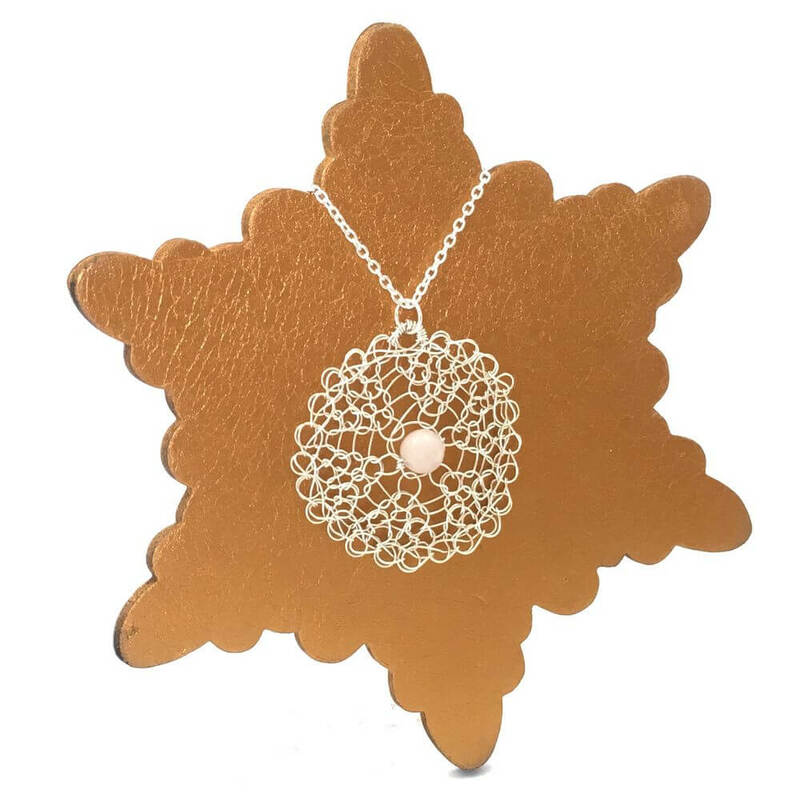 Presented in a hand decorated gift box your earrings are sent within 3 days of order.